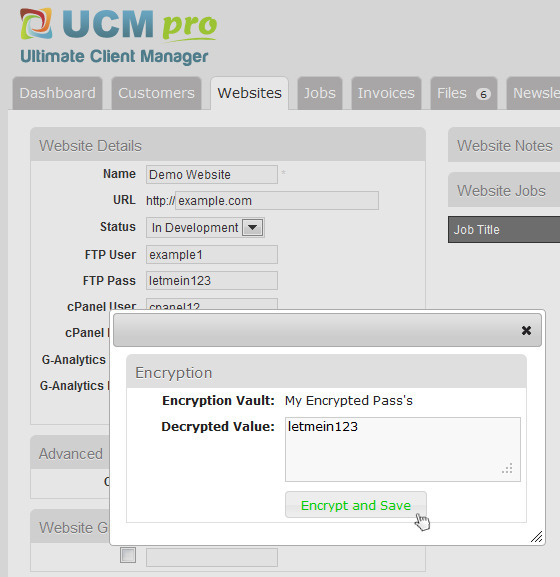 This plugin lets you encrypt sensitive data in UCM so it is safe from prying eyes (eg: hackers or disgruntled staff members). 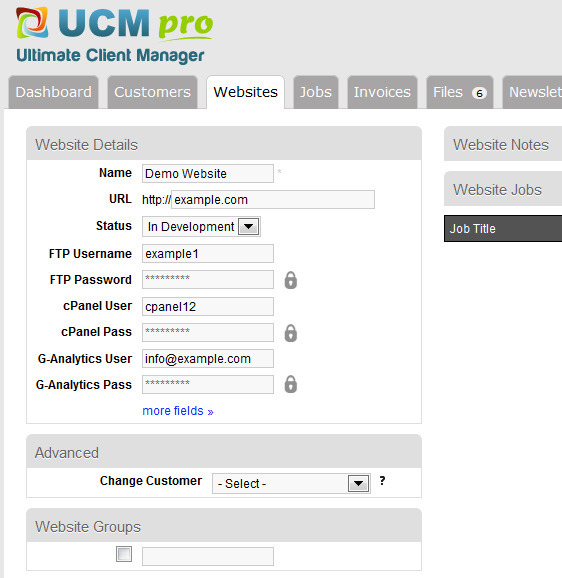 Perfect for keeping customers FTP/cPanel details encrypted. 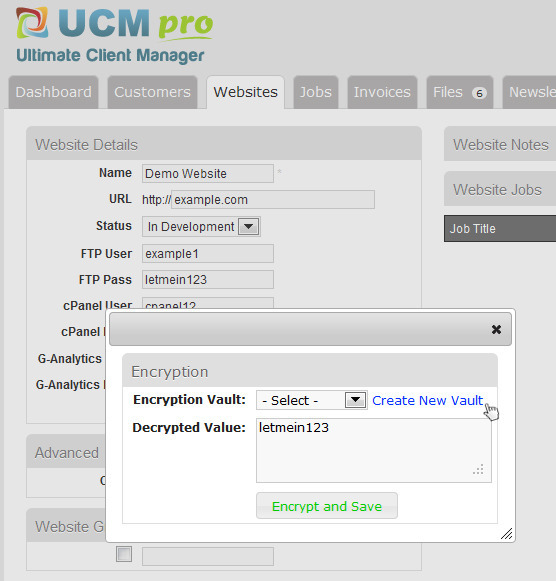 See the screenshots for a step by step guide on how to encrypt and decrypt information with the UCM system. 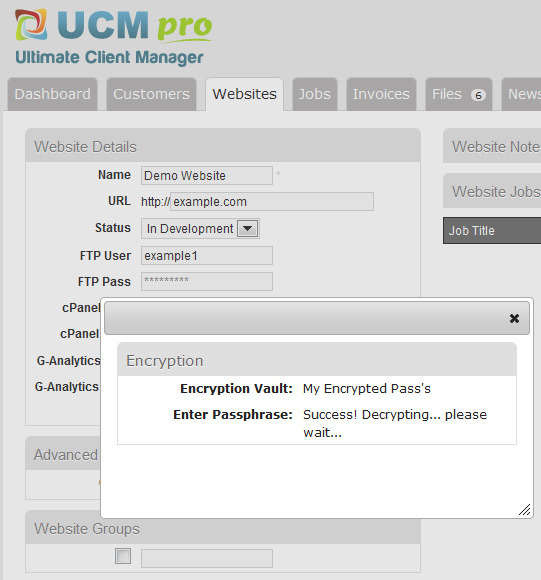 Create multiple encryption vaults with different master passwords. 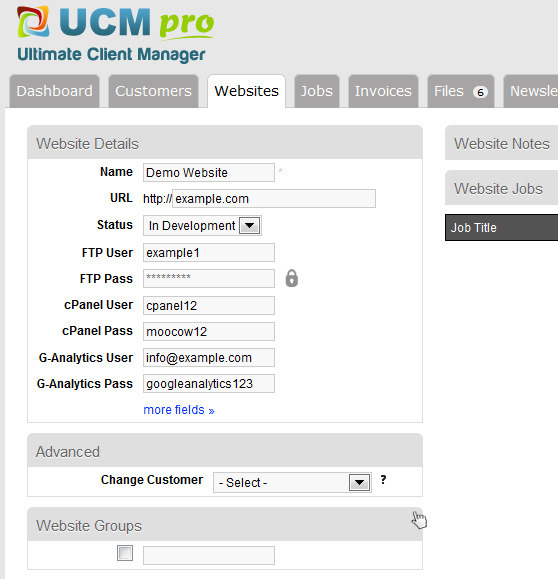 If one master password is discovered this will limit their data access. 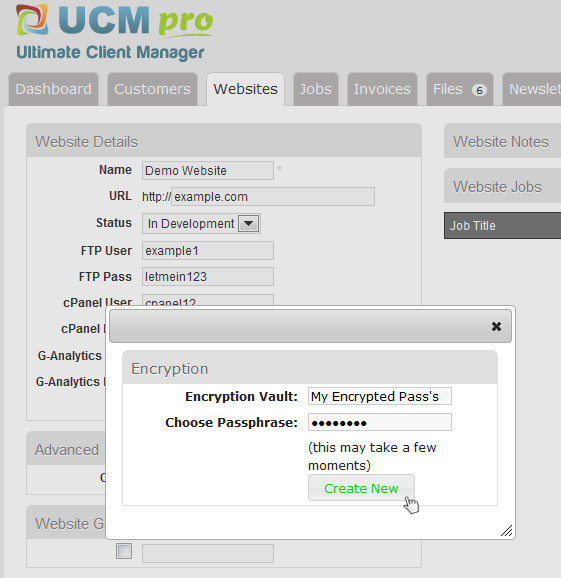 Or you could have all FTP details encrypted with one password, and all cPanel details encrypted with another password. Up to you! If you forget the password there is absolutely no way to decrypt the information. Not even by me, the developer. This is industry standard RSA and AES cryptography, serious stuff! Keep a history of who access what information, when they access it, and from what IP address (are staff members looking at details from home?). 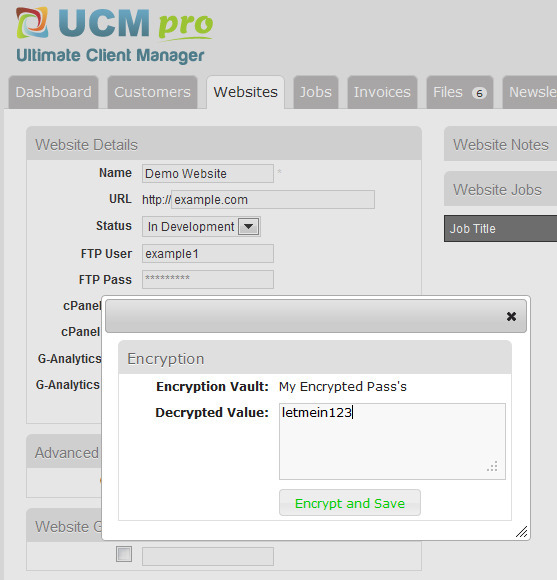 You can encrypt data without typing in the master password, but to decrypt it you need the master password. (This is the public / private key cryptography at work). 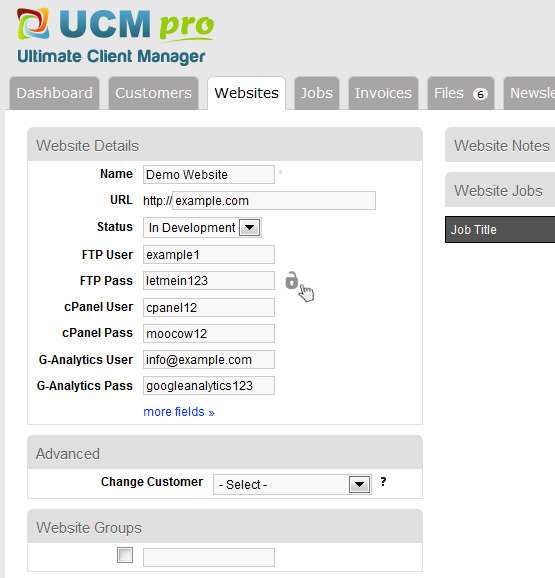 This will install the latest version of the plugin for you, and keep it updated in the future.